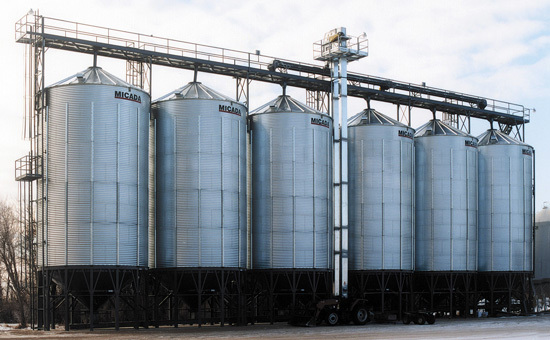 We offer a complete hopper bottom and bin package, or we can retro-fit hopper bottoms for any existing grain bin. We also offer customized hopper bottoms of any size or degree to meet your specific needs. Fully shop-welded cones allow for the quickest installation in the industry. Bins come with Seed-certified, wide corrugated sheets. We offer turnkey delivery and installation services. A heavy-duty rack and pinion slide gate or enclosed catch boot offers adjustable 360 degree swivel, allowing precise positioning. Bins have ground-operated remote lids, and bean ladders are optional. Use our form to send us an inquiry for additional information or for any questions you may have. © 2016–2019 Warrior Mfg., LLC. All rights reserved.